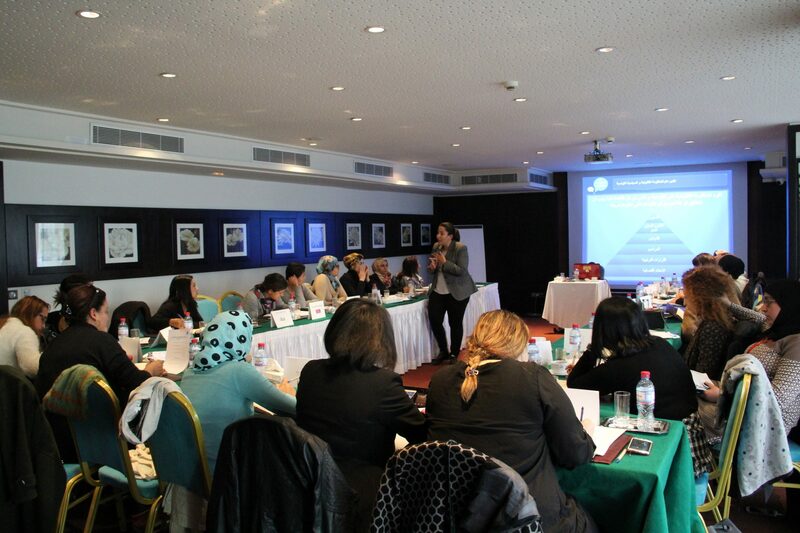 In Tunisia, women who want to fight gender discrimination are participating in our partner Aswat Nissa’s political academy. Here, Nawrez Ellafi and Sihem Ben Ali share what the political academy has meant for them and their struggle to create a more equal society. 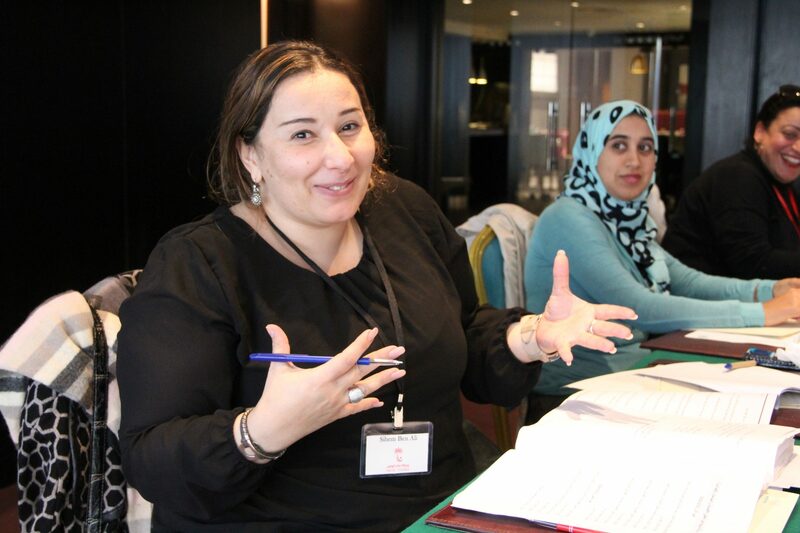 In Tunisia, Kvinna till Kvinna’s partner organisation Aswat Nissa has been organising a political academy for women since 2014. It offers capacity-building to women active in politics, regardless of where they are situated on the political spectrum. The academy’s sessions take up leadership skills, knowledge of social and economic rights, as well as personal development. The focus lies on young women just starting out in politics. “Taking part in this political academy has changed my life. Before, I was shy and had very little self-confidence. Now, I believe in myself and I don’t hesitate to speak my mind!” beams Nawrez Ellafi. Nawrez Ellafi is 33 years old and works as a teacher and personal development coach. She is a member of one of Tunisia’s political parties. The political academy allowed her to meet other women in politics, share experiences and discuss the challenges they meet. Nawrez’ goal is to win the municipal elections. But in the future, she dreams of helping other women. “My dream is to hold lectures for other women and empower them,” Nawrez describes. Sihem Ben Ali enthusiastically shows us all her books and notes from one of the training days of Aswat Nissa’s political academy. She has collected all her notes and the certificate’s she has received in a single large book.